Any major water system fulfills many important functions. A large lake can serve as wildlife habitat, drinking water for a community, and a source of recreation and economic benefits. The Great Lakes region of the U.S. is no exception. Not only does this region provide 40 million people with drinking water, it also makes up 21% of the freshwater on the whole planet! Protecting water quality in the Great Lakes is extremely important. However, the region is also home to 55 million acres of agricultural land. Agricultural land and good water quality usually do not mix. Consistent farming can lead to runoff, erosion, and eutrophication – increased nutrients in the water causing problems like algal blooms and fish kills. A cover crop is an agricultural crop which is planted during the traditional non-growing season, i.e. late fall to early spring. Planting a cover crop is a farming and soil management strategy to help keep soil in place, increase soil health by replenishing important nutrients, and decrease water runoff into streams and rivers. Specifically, cover crops can help keep phosphorus from entering waterways near farm fields. Can Cover Crops Decrease Water Quality? Some laboratory studies have shown cover crops can actually release phosphorus in response to the normal freeze-thaw temperature cycles throughout the non-growing season. If cover crops are releasing phosphorus, they may be adding nutrients to aquatic systems instead of keeping them out. 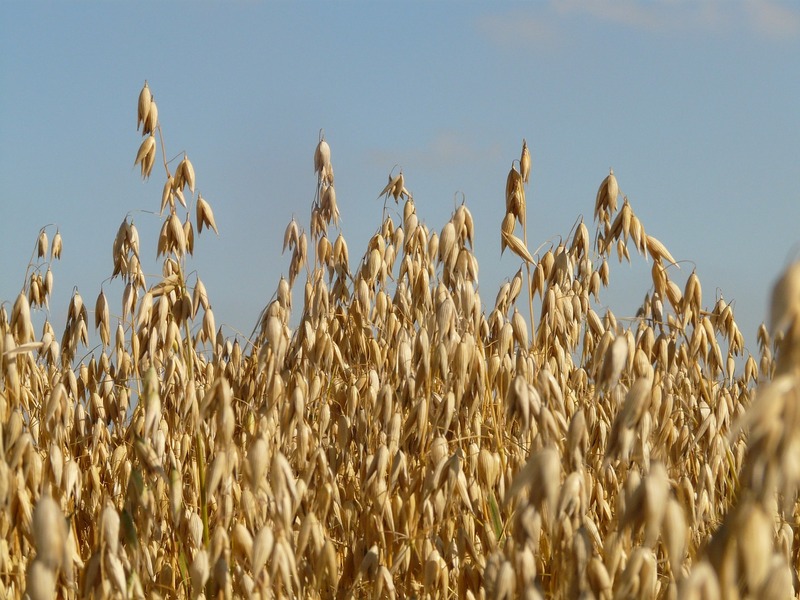 Building on laboratory studies, researchers tested the nutrient dynamics of five types of cover crops (cereal rye, oilseed radish, oat, hairy vetch, volunteer wheat – control plant) in the field in Ontario, Canada. In August 2017, 0.4 hectares (about 1 acre) of the five cover crops were planted after the main growing season plant, winter wheat, was harvested. At regular intervals over the course of the next several months, researchers measured the amount of extractable phosphorus from the cover crops: they collected pieces of the plants and placed them in water to see how much phosphorus leached out. In each cover crop plot, they also measured the amount of phosphorus in the field soil, the groundwater, and water runoff from each plot section. Researchers were also interested in the air and soil temperatures to monitor how often the cover crops went through freeze-thaw cycles. Researchers found that some of the cover crops released phosphorus during the non-growing season. Specifically, the cover crops known as frost-intolerant species – oilseed radish and oats -released more phosphorus than frost-tolerant ones (rye, vetch, the control (volunteer wheat)). This pattern makes sense: if a plant doesn’t survive freezing temperatures, the dead plant material becomes a major source of phosphorus release when it starts decomposing. However, when comparing the amount of phosphorus that was also in the soil, groundwater, and water runoff, the culprit that released the most phosphorus was not a cover crop. The soil itself was a bigger exporter of phosphorus. Thus, cover crops aren’t negatively impacting water quality as much as other parts of the farm field. Cover crops still have other benefits such as reducing soil erosion. Rain or snow on bare soil can easily break apart soil particles and carry them into water bodies where they negatively impact water quality. Plants help keep the soil in place with their root systems. Based on this study, researchers recommend that cover crops still be used in the Great Lakes region to help improve water quality. However, cover crops that better tolerate the cold may be better choices as they’ve been shown to release less phosphorus. Water and food are both important resources we can’t live without. Often, it’s hard to keep the balance of maintaining clean water while still producing enough food to feed our growing population. This study highlights that cover crops remain an important strategy in trying to balance these needs especially in the vital Great Lakes region. ← Dung Beetles and Soil Bacteria Promote Food Safety.